Can I just say, “sturdy chip” is my favorite phrase of the day so far. Looks yummy, though I’d definitely have to bake it. I like my Mexican dips MUY CALIENTE! i think baking it would make it extra yummy – i just ran out of time 😛 i will make it again soon and i will bake it. thank you for lending your tastebuds! 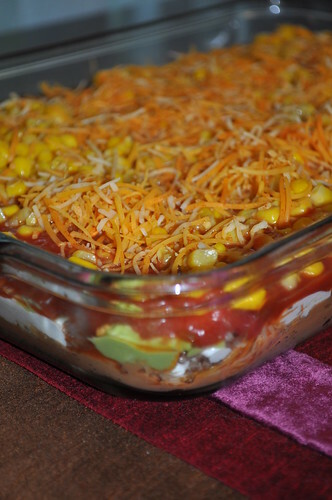 I love 7 layer dip!! yours looks so very very good! !